Bluetooth Beacon Gateways are Bluetooth BLE enabled readers that receive transmitted data from Bluetooth Beacons. Beacon Gateways typically have read ranges of 100 - 300 meters and can transmit received beacon data to cloud systems, software and backend databases. 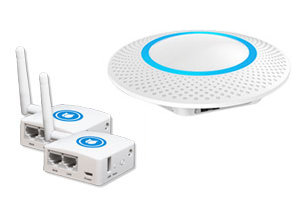 PTS offers Bluetooth Beacon Gateways from BlueCats and BluEpyc. See our Bluetooth Beacon Gateway Overview to learn more about gateways and how they can help your business.